The other day I happened to walk in to our shared bedroom just as Bluebell and Quince shared a kiss. It made me confused because Bluebell is in an official relationship with some Tyrian guy. Maybe she had forgotten? Or maybe it didn’t matter at the moment? Both my elder brother and Bluebell surely didn’t seem to be thinking of him right now. I cleared my throat loudly because it felt as though I was spying at them or something. They both they glanced at me and smiled mysteriously, as if we shared a secret. I felt a bit uncomfortable and blushed. Quince and Bluebell giggled and then they wrapped themselves together and shared a much more passionate kiss. It was gross and I left the room. I just couldn’t stand looking at them like that, it was gross and a bit unfair. It made me feel quite lonely. Sweet Corn was always hanging out with someone, even though that someone changed quite often. All that mattered to her, was that they had the same political views. And at The Blank Slate pretty much everyone did, alas, everyone was her friend. I usually didn’t mind being lonely or on my own, in fact I often enjoyed that more. 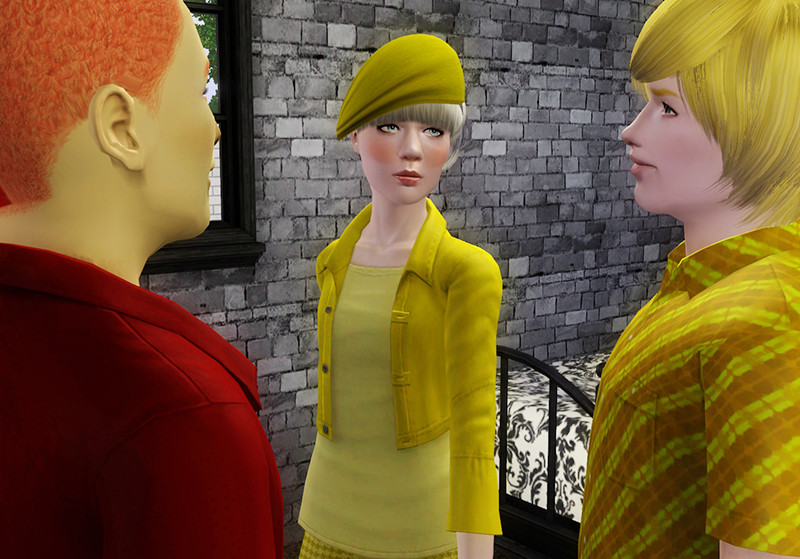 But there was something about Bluebell and Quince hooking up that made me feel at unease. I think it was the fact that it was her. She was supposed to be our friend. Not his girlfriend. I scratched my head confused. A girl of our age was going to avenge Affair? It sounded ridiculous, why would anyone bother? Although, it also sounded amazing and thrilling. To be fair, it was probably the only chance there was. We told Quince about the rumours as well . If anyone could figure out who the girl was, or if it was even true, it was him. Working at the supporters pub meant he knew pretty much everything about the uprisings and the rumours. He also had a way of finding out which rumours were just rumours and which were actually true. He had of course already heard that there was such a rumour and we made him promise to find out whether it was true, and if so, who she was. It took him three days. I hated when she or anyone else called me Sunny, but they kept doing it. Sometimes it was as though my opinions didn’t really matter. Pretty much all of our friends called me Sunny. I was actually starting to get used to it. “Come on then!” Sweets yelled again and I hurried after her. 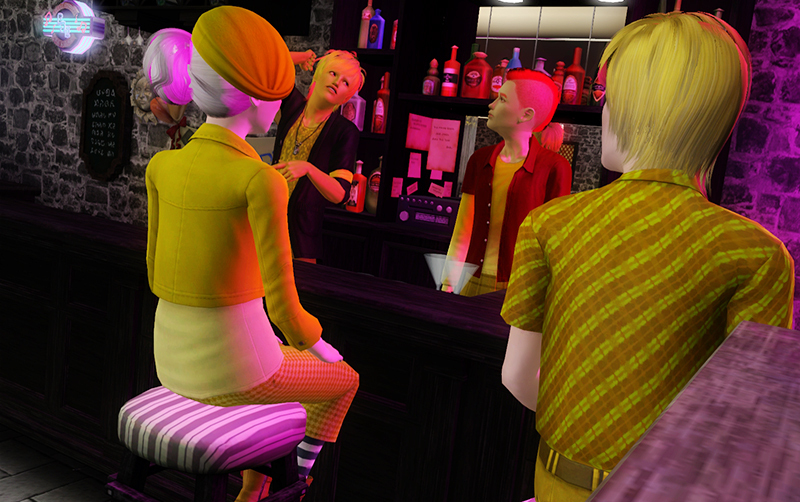 It was a quiet night at the pub and we sat down by the bar where Quince and Mithos was joking around with each other. 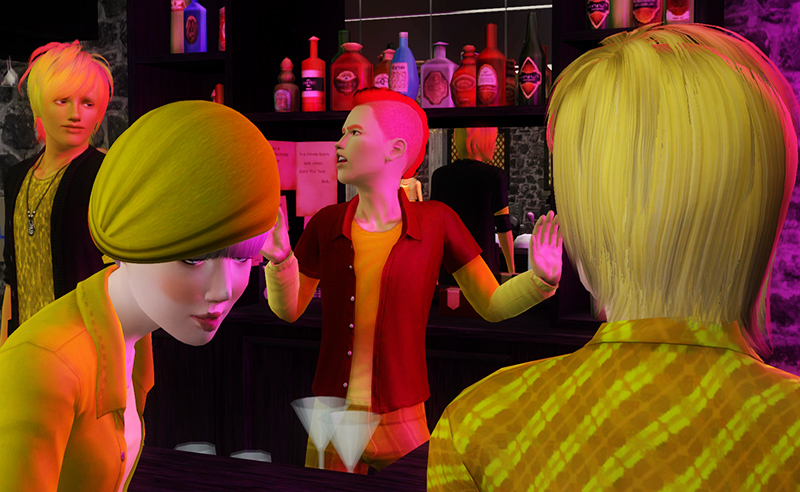 It was nice to see that they could still enjoy their pub and feel relaxed and at ease behind the bar. Of course, security was higher and they had both got themselves bullet proof vests. “So, who is it?” Sweets wanted to know and looked around. There were a few people dancing but overall it seemed extremely silent this evening. “It’s true” Quince smiled triumphantly. They were looking at an orange girl of our age. She looked kind and lonely and was currently busy scribbling some things down on a paper. When she looked up again she noticed us all staring at her, which made her blush and she look back down in to her papers. “You’ve got to be kidding me?” Sweet Corn said again and punched Quince jokingly. “Thunder!” Quince cried and our friend soon came stumbling down the stairs and joined us at the bar. 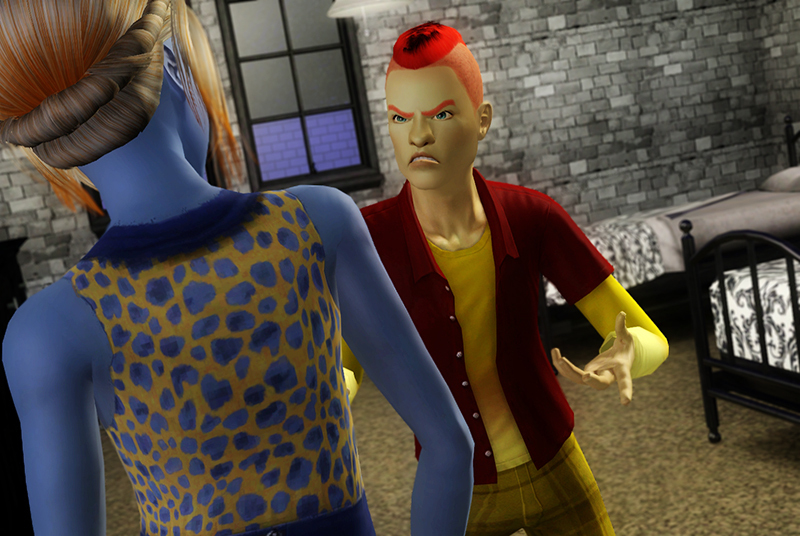 “Isn’t that the girl investigating Affair’s death?” Quince continued and pointed at the orange berry. “You’re trying to find Affair’s killers?” Sweets demanded to know. 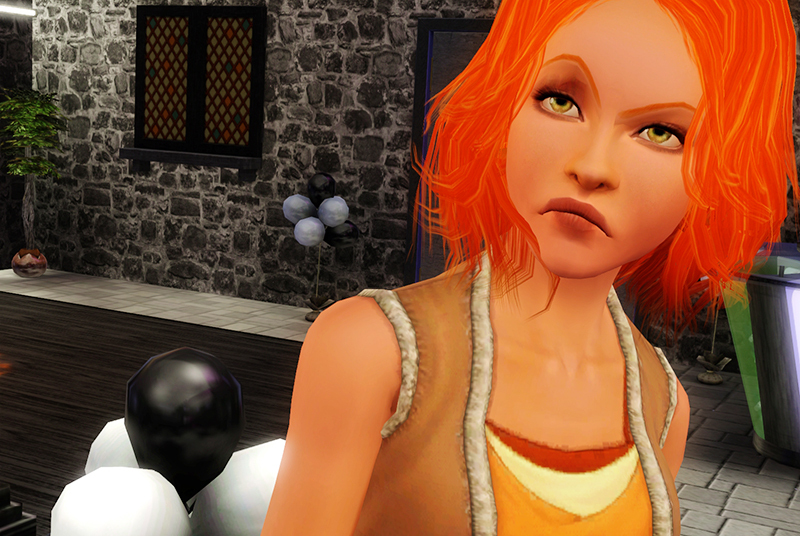 Cinnamon instantly put her hand in front of Sweet’s mouth, hushing her to be silent. “Don’t you cake me! And you can never be sure enough” Cinnamon ended the conversation right there and put all of her papers down her backpack. She gave my sister another deadly stare before she turned on her heel and left The Blank Slate. 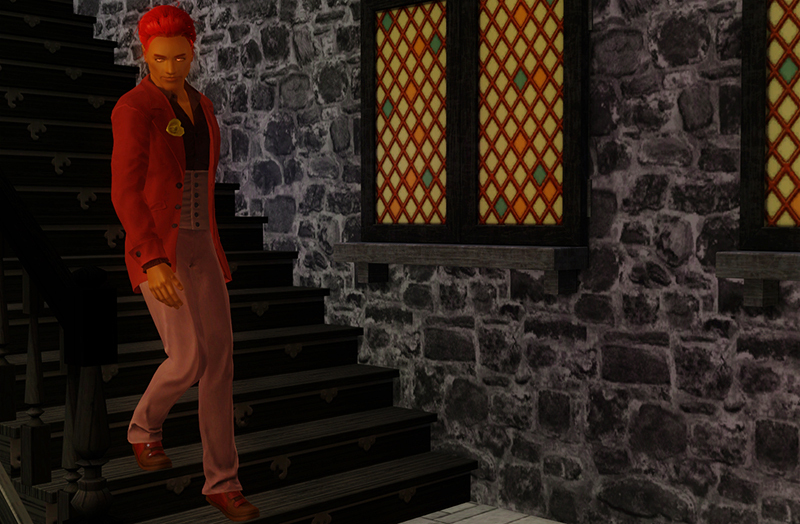 Quince and Mithos couldn’t help themselves and started laughing out loud. Sweets was known to usually get want she wanted in our circuits and apparantly they found it hilarious that someone had eventually brought her back to earth. 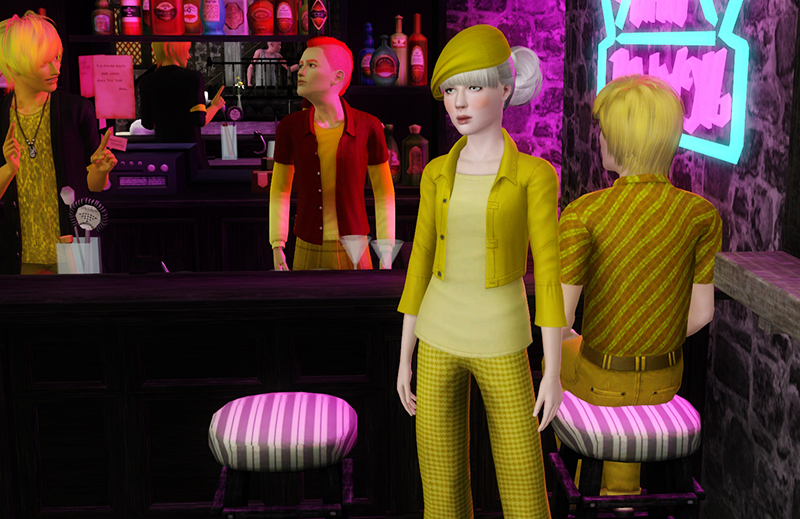 Sweet Corn herself did not find the event amusing at all and she slammed her fist in the bar when she got back. “Get me a drink!” she demanded and Quince pulled himself together and did as he was ordered. “What was her problem anyway?” Sweets dwelled even hours later and Quince and Mithos had a hard time keeping themself from laughing. I just shook my head and remained silent. In fact, I didn’t dare to say anything because I was leaning towards agreeing more with Cinnamon. She was on a very dangerous task and if the wrong persons found out, she would be in so much trouble. If Sweets, Quince and Mithos found that amusing, so be it, but I found it rather scary. I still hadn’t managed to shake the feeling of guilt over Affair’s death, and since Cinnamon was trying to solve that very crime, she also fell in my conscience. If something happened to her because of her investigations, it would also be my fault. The realization made me sigh loud. “What’s up, champ?” Mithos wondered. He had called me ‘champ’ since forever and even though I had kind of grown out of that nickname, he kept true to it. “Wow, that must be a first” Sweet Corn said ironically and smiled. I knew they all thought I spent too much time thinking but I guess that was what made me different from them. The evening went on and I just couldn’t shake the worry I felt for Cinnamon. Even though I didn’t know her, I surely didn’t want her to encounter any problems because of her investigations. I couldn’t carry the guilt from that too. Cinnamon is cute.. even when she’s angry. Love her coloring. And Cinnamon is right…discretion is the safer, wiser route. Poor Sunny. All that unnecessary guilt to carry around.